When pharmaceutical packages sound an alarm or food cartons measure the temperature, printed electronics are involved. 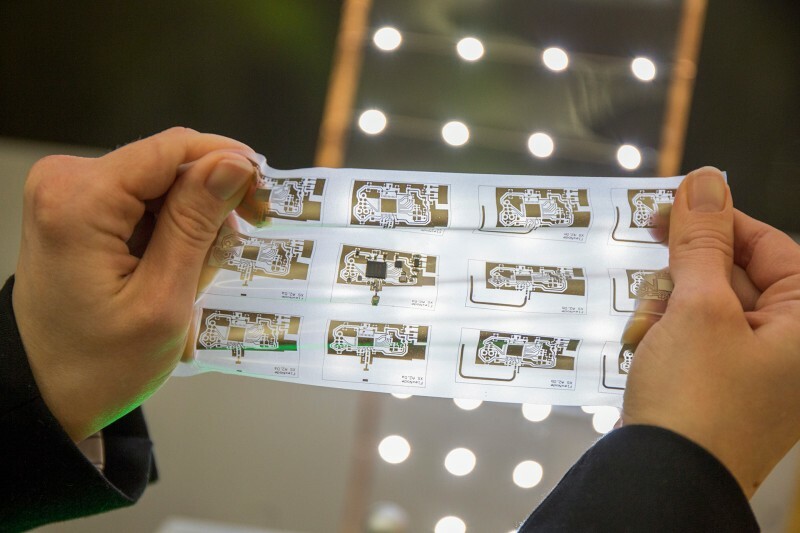 LOPEC, the International Exhibition and Conference for the Printed Electronics Industry in Munich, will provide information about next generation packaging from March 19 to 21, 2019.
Who says it is merely a cardboard box? Printed circuits, displays and the like let packages become truly multi-talented. “Since printed electronics are thin, lightweight, flexible and yet robust, they can be integrated very well into packaging, either during production or as an affixed e-label,” explains Dr. Klaus Hecker, Managing Director of the OE-A (Organic and Printed Electronics Association), a working group within the VDMA, the co-organizer of LOPEC. Packaging with integrated electronics opens up new communication channels because it links the real world with the digital world. 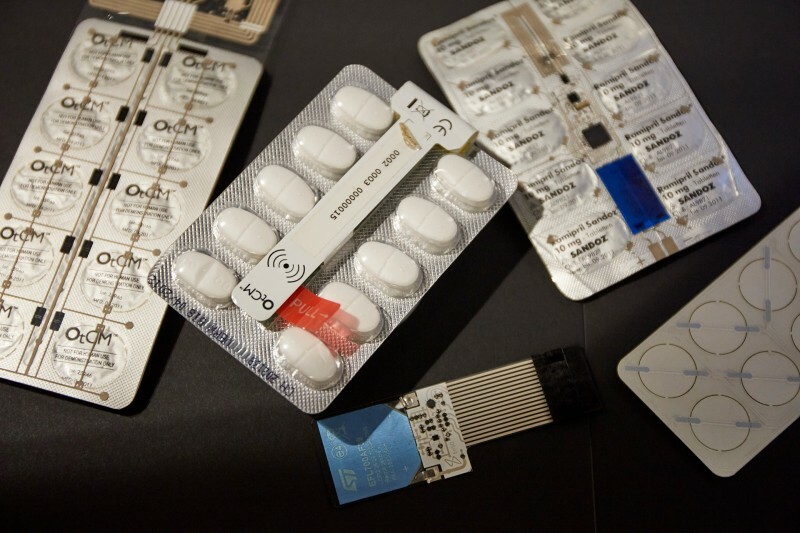 For instance in healthcare: Prototypes of drug packages with integrated e-paper display already exist. That way, using apps and Bluetooth, doctors can notify their patients of their individual dosages and easily adjust those if their state of health changes. “Printed electronics is becoming increasingly important in personalized medicine,” says Hecker. The pressure to optimize costs is driving smart pharmaceutical packaging. About one fifth of all patients do not take their medication correctly—leading to expensive consequences such as antibiotic resistance or follow-up treatments. Blister packs with integrated clocks and circuits that register tablet removal are supposed to solve that problem: In case the intake is forgotten, the package flashes, emits an alarm or sends a reminder message. Smart packaging is already being used in clinical studies in which drug manufacturers test new drug substances on thousands of subjects, thus helping to reduce costs. Packaging with built-in temperature and humidity sensors on the other hand can monitor the correct storage of drugs. Sensor technology is also of interest for food and other sensitive goods. In any case, smart packaging is a cross-sector trend. Near-field communication, NFC for short, plays a key role here, and is widely known from metro tickets, ski passes and more recently also from contactless payment by mobile phone. Packaging with NFC chips brings a breath of fresh air into marketing, because they connect brand products directly with the customer. Product information, videos and much more are sent to the consumer's smartphone as soon as it is held close to the packaging. As a seal of authenticity, NFC tags also protect perfumes, wine and other luxury goods against counterfeiting. The global market for smart packaging is developing faster than anticipated and is expected to reach a volume of over 48 billion US dollars in 2024. “Printed electronics is making a significant contribution to this growth,” emphasizes Hecker. “We are thrilled that LOPEC 2019 will once again cover the entire value chain of printed electronics, from materials development to plant construction to the end product.” With its extensive exhibition and conference program, LOPEC is not only targeting insiders but also representatives of all sectors and industries that want to increase their competitiveness with the aid of printed electronics. Further information and background data can be found at www.lopec.com. Image material is available from the media database. All contributions from LOPEC TV can be found on our webpage as well as in the media library. In the download section, original recordings from LOPEC in broadcast quality are made available to you free of charge.